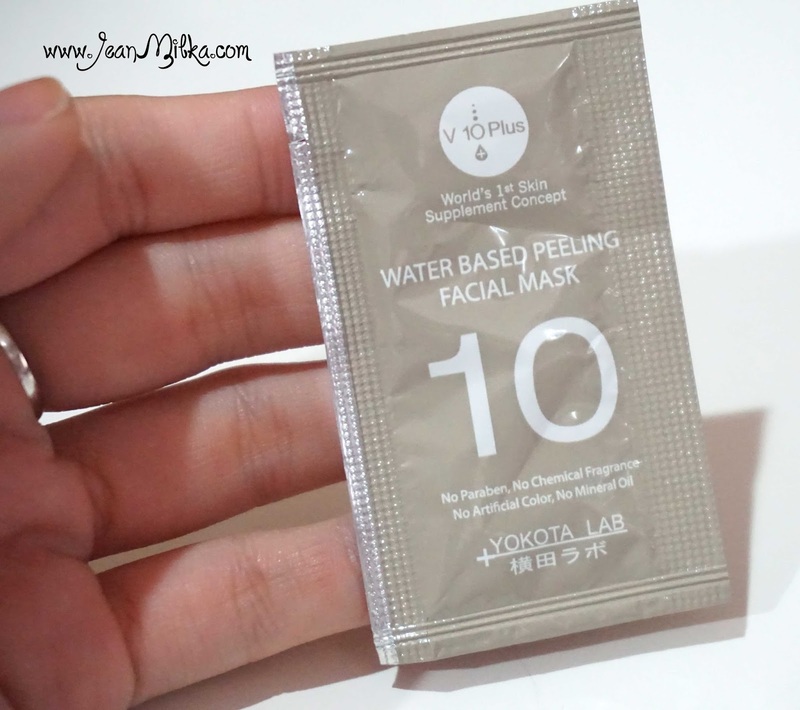 Today I would like to review V 10 Plus Water Based Peeling that is quite popular right now. I see some of fellow bloggers review about this product. V 10 plus sending me this for review last month, but since I always want to give you proper review, it take times for me to try and see the result. V 10 Plus is new skin care product in Indonesian Market that originally from Japan. 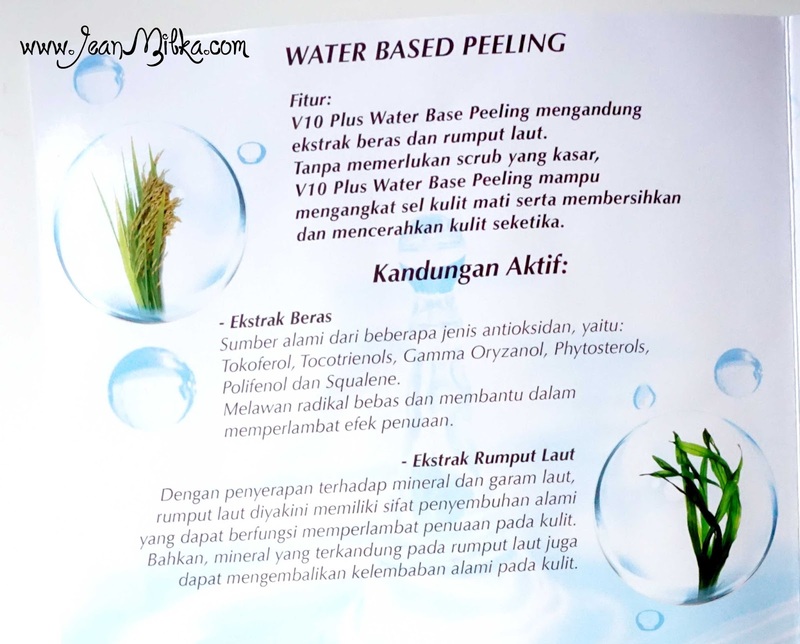 Recently, V 10 Plus introduce their Water Based Peeling to Indonesian market. You can check their fan page here. 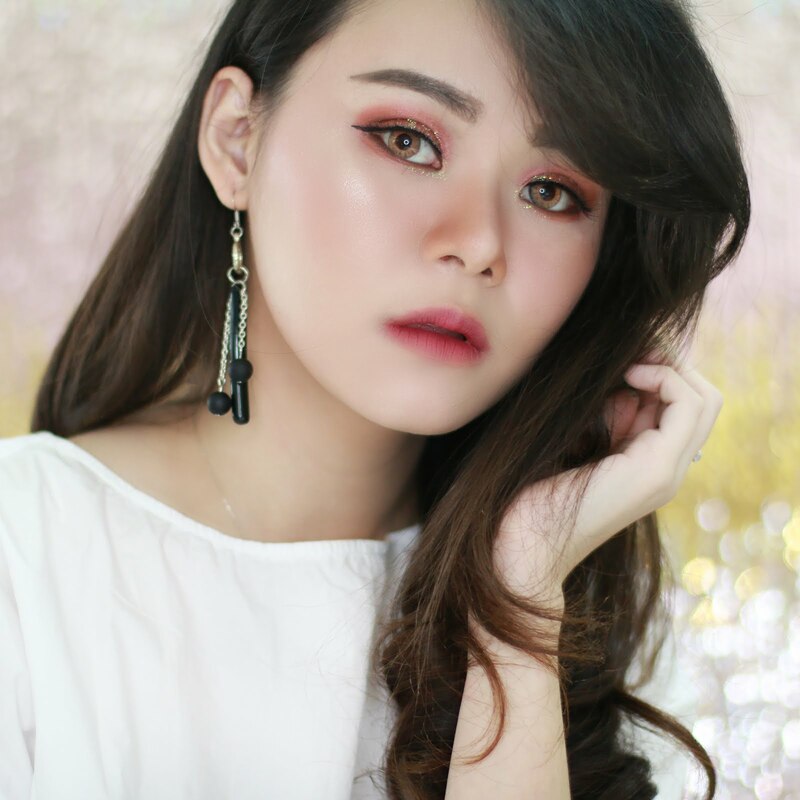 V 10 Plus products is popular at Singapore, especially since V 10 Plus is official skin care for Miss Singapore beauty pageant 2013 and Miss Scuba Singapore 2013. V 10 Plus also award. 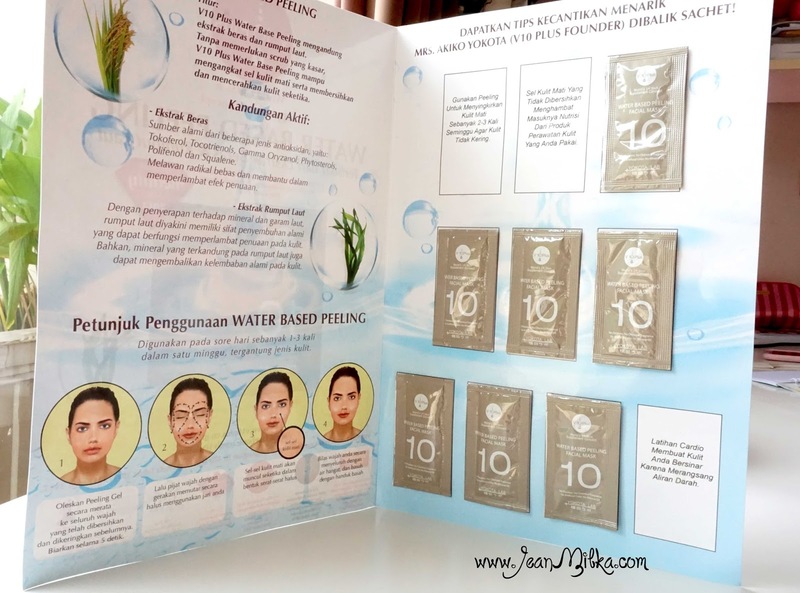 In Indonesia, V 10 Plus Water Based Peeling facial mask comes in booklet that contains 10 sachet of 2 ml product. I am not a big fans of the sachet packaging. V 10 Plus Water Based Peeling actually comes in tube packaging of 50 ml product. But for Indonesia, they adjust to the size so the price won't be to high for our market. 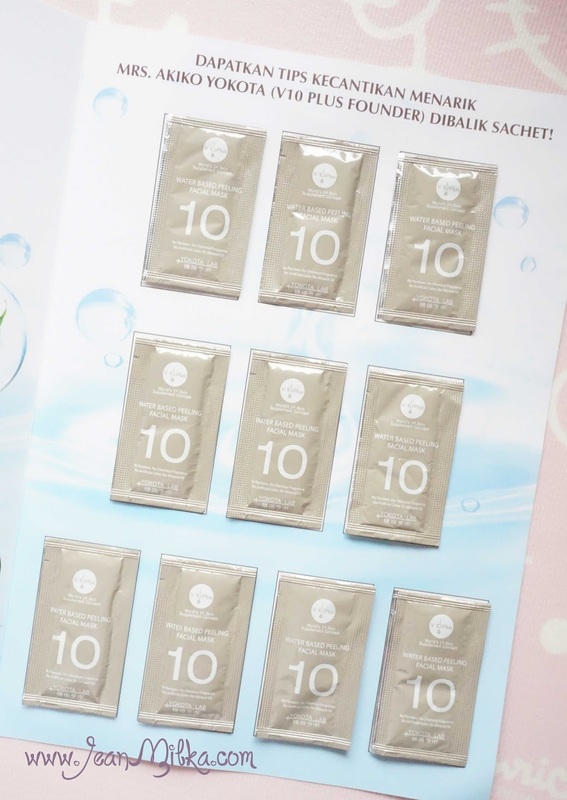 You can get 10 sachet of 2 ml product for 270.000 IDR (on sale right now from 98.000 IDR, go grab yours now at v10plus). Can you imagine how much it cost for the 50 ml product ? around 675.000 IDR (or 245.000 IDR while on sale). Pricey right? 50 ml product will last for 2 month. Behind each sachet, there is tips for you to get healthier skin. 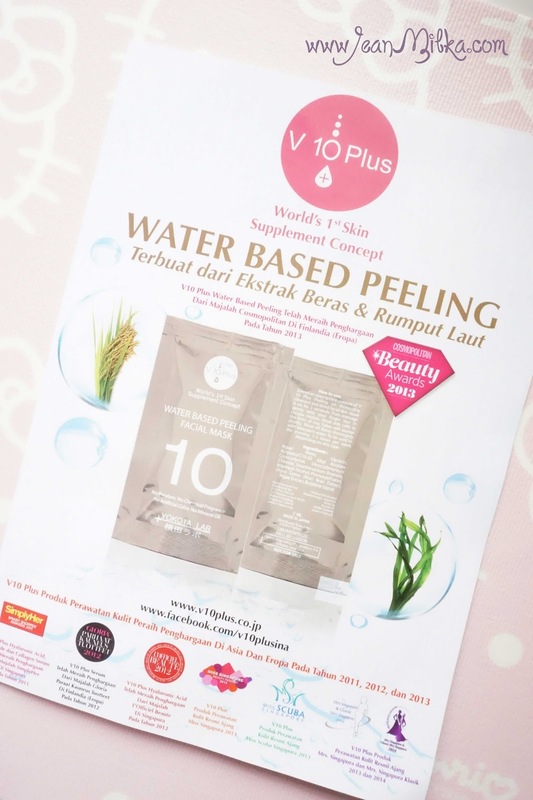 V 10 Plus Water Based Peeling contains rice bran extract which is good for anti aging and seaweed extract which is well known as one of ingredients to moisturize your skin. How it works for My Skin ? One sachet of this product can use for one times. The amount of product is more than enough for one time use. This is reduce my disappointment about the packaging, sachet is still fine for me as long as I don't need to concern about where should I save it once I open it. Just like the name, V 10 Plus Water Based Peeling is cream in liquid form. This is gentle peeling without any harsh scrub. When you apply this on your skin, you can feel how watery it is. I don't think it have any scent. I love how gentle it feels on my skin, makes me want to use it everyday. But you better use it 1 to 3 times a week since it will remove death skin and daily use probably will make you skin become thinner. How to use ? Apply to your skin and leave for 5 seconds, and massage your face in circular motion. You can see how to massage your skin from the picture bellow. There will be tiny flakes which is you death skin, and rinse it with water. I have using it for 1 month, around 2 - 3 times a week especially when I wear full coverage foundation. Overall I like the peeling effect. After you massage your skin, there will be tiny flakes appear shortly after which is your death skin. I notice that it give me bright and healthy effect right after I rinse my face. After one month, I don't see big changes to my skin except healthy glow that I always get after I peel my skin with this product. 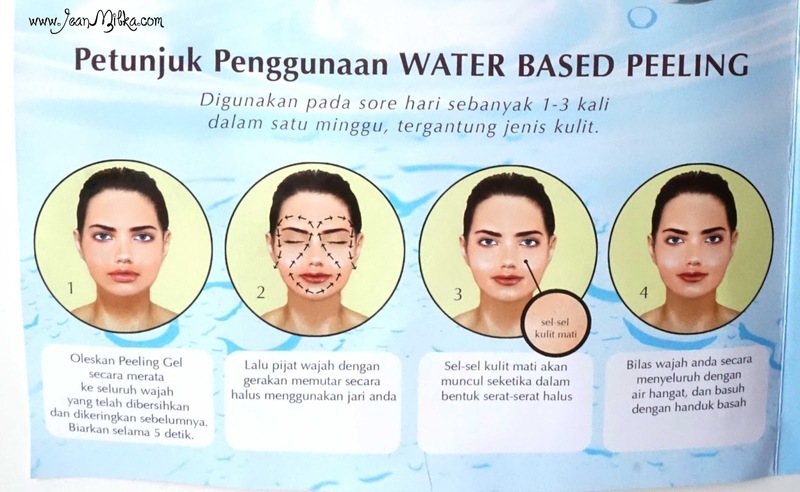 I think it works to make your skin less dull, but not for permanent effect of course. It doesn't break me outs but I also don't see that it remove my blackheads. I will strongly recommended this product for people who have problem with dull skin or for you who want healthy glow effect. Since it's on sale right now, go check V10plus and order yous, it's really worth to try. After one month, even when I wear matte finish foundation it still give me healthy look effect. That is all for my review.. I am really recommended you to get your now while it's on sale for only 98.000 IDR right now. Go get yours their fan page here also don't forget to follow their instagram @v10plus. 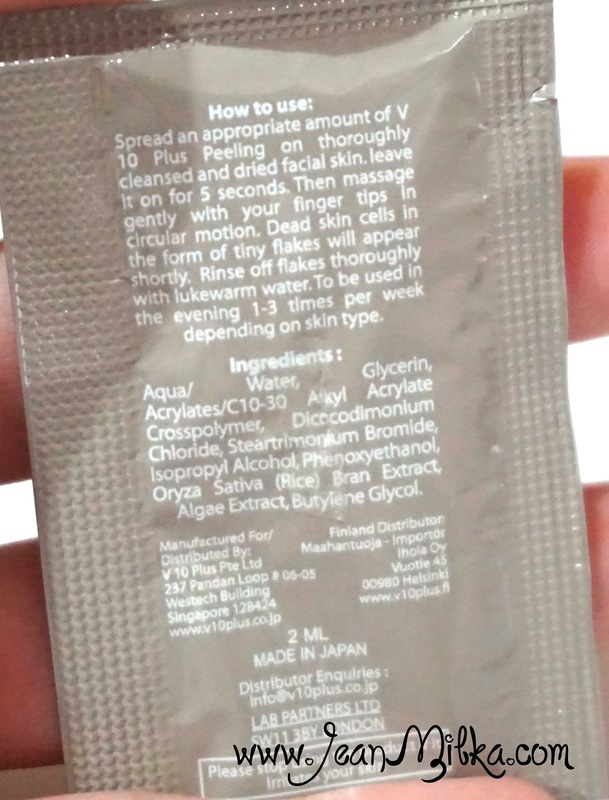 Readers : anyone have tried this product or another product from V 10 plus?